Grab your attorney’s badge and get ready to head to the courtroom, because Phoenix Wright: Ace Attorney Trilogy is available globally today for the Xbox One family of devices including Xbox One X, PlayStation 4, Nintendo Switch system and PC. 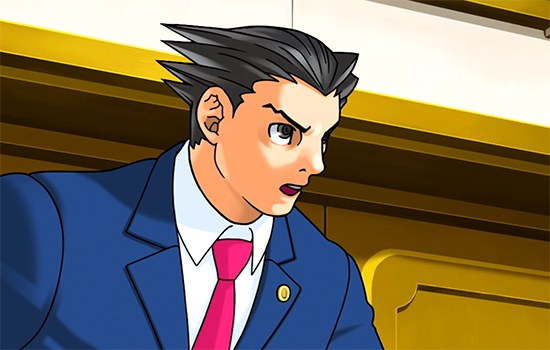 Available digitally for $29.99, Phoenix Wright: Ace Attorney Trilogy brings together the banter and cryptic capers from all three original games including Phoenix Wright: Ace Attorney, Phoenix Wright: Ace Attorney - Justice for All, and Phoenix Wright: Ace Attorney - Trials and Tribulations in one package for the first time on home consoles and PC. Phoenix’s colourful cast of allies and foes, puzzling crime scenes and high-stakes courtroom showdowns will also all be brought to life using high-resolution re-drawn graphics optimised for HD displays. Veteran and rookie defence attorneys alike should prepare for numerous discussions on ladders as they put their sleuthing skills to the test.